Our number one goal once a consumer hits our website is to do a Quick Application or Full Credit Application powered by 700 credit. Find a great selection of used BMW, Acura, Honda, Toyota, Chevrolet, Ford, and many other manufacturers. Trade in or sell your car today, based on Kelley Blue Book Values. 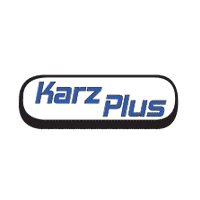 Karz Plus has two great used car dealerships in San Diego: Karz Plus Escondido and Karz Plus National City. Each of our locations are fully equipped to help you find financing and a great used car. What makes our used car dealerships special is the judgment-free way we do business, as well as being empathetic. We absolutely understand that sometimes when it rains, it pours. Every person we work with is unique, and we treat them as such, regardless if you are looking for a bad credit auto loan in San Diego or we simply have the vehicle you are looking for. In our inventory, you will often find a great selection of used BMW, Volkswagen, Acura, Honda, Toyota, Chevrolet, Ford, and many other manufacturers. While we aren’t an official BMW dealer in San Diego, we do frequently have quality used BMW for sale. The advantage that we have over an OEM car dealership in San Diego, a dealership carrying brand new models, is that we are able to work harder for our individual customers. We do our best to help everyone who comes to us and lay out all the options that there are. Going the extra mile is a core part of our used car dealerships.